In Equal Employment Opportunity Commission v. McLeod Health Inc., Cecilia Whitten (“Whitten”) was employed by McLeod Health, Inc. (“McLeod”) for twenty-eight years as the editor of McLeod’s internal employee newsletter. Whitten was born with postaxial hypoplasia of the lower extremity, so she lacks certain bones in her feet, legs, and right hand. Therefore, Whitten has limited mobility and has always struggled with falling. In 2012, Whitten fell three times: twice outside of work and once at work. As a result, McLeod required Whitten to undergo several fitness-for-duty exams. McLeod concluded that Whitten was a high-fall risk. Whitten proposed several reasonable accommodations, but McLeod determined that these accommodations would prevent Whitten from fulfilling her job’s essential function of travelling to the company’s different campuses to collect stories. Whitten was placed on medical leave and ultimately terminated. Whitten filed a complaint with the Equal Employment Opportunity Commission (“EEOC”), prompting EEOC to bring a suit against McLeod on Whitten’s behalf. The district court granted summary judgment to McLeod on both claims and the EEOC appealed. The issue before the Court was whether McLeod violated the Americans with Disabilities Act (“ADA”) by (1) requiring Whitten to undergo medical exams despite a lack of evidence that the exams were necessary (“illegal-exams” claim); and/or (2) terminating Whitten on the basis of her disability (“wrongful-discharge” claim). On appeal, the EEOC argued that summary judgment was not appropriate on either claim because there was sufficient evidence for a reasonable jury to rule in favor of the EEOC. Under the ADA, an employer may not require an employee to undergo a medical exam unless the exam is job-related and consistent with business necessity. Specifically, the employer must reasonably believe the employee’s ability to perform an essential job function is limited by a medical condition or that, due to a medical condition, the employee’s performance of an essential job function would pose a direct threat to the safety of the employee or others. The EEOC appealed summary judgment on the illegal exams claim by arguing that it had provided enough evidence for a reasonable jury to conclude that travelling to the company’s different campuses was not an essential function of Whitten’s job. McLeod’s description of Whitten’s position did not include travelling to McLeod’s campuses, and Whitten could gather information for the employee newsletter over the phone. Also, the EEOC argued that McLeod’s belief that Whitten’s falls made her a direct threat was unreasonable because her falls did not cause injury. Furthermore, to establish a wrongful-discharge claim a plaintiff must prove (1) she has a disability; (2) she is a qualified individual; and (3) her employer took adverse employment action against her because of her disability. The EEOC claimed that the first and third elements were clearly met and that it had presented enough evidence on the second element to preclude summary judgment. A qualified individual must be able to perform the essential functions of the job with or without a reasonable accommodation. The EEOC argued that a reasonable jury could determine, based on the evidence presented for the illegal-exams claim, that Whitten was a qualified individual because travelling was not an essential function of her job. On appeal, McLeod argued that summary judgment on both the illegal-exams claim and the wrongful-discharge claim was appropriate. Specifically, in regards to the illegal-exams claim, McLeod argued that it did not violate the ADA by requiring Whitten to undergo work-related medical exams because it reasonably believed, based on objective evidence, that Whitten could not perform an essential function of her job without posing a direct threat to herself. McLeod claimed, and the district court agreed, that one of the essential functions of Whitten’s job was to navigate to and within the medical campuses. Thus, McLeod argued, the medical exams did not violate the ADA because McLeod believed Whitten’s disability rendered her unable to travel to and within the company’s different campuses without posing a direct threat to herself. With respect to the wrongful-discharge claim, McLeod argued that summary judgment was appropriate because Whitten was not a “qualified individual” within the meaning of the ADA. Specifically, McLeod asked the Court to affirm on the basis that the EEOC had not proven Whitten was a “qualified individual;” the medical exams indicated she could not perform an essential function of her job, regardless of whether she was provided with a reasonable accommodation. The Fourth Circuit reversed summary judgment on both claims and remanded the case to the lower court. Reviewing the grant of summary judgment on both claims de novo, the Court disagreed with the district court’s determination that McLeod had showed there was no genuine dispute as to a material fact; therefore, summary judgment was inappropriate. The Court examined the evidence presented by both parties but disagreed with the district court’s finding that the EEOC failed to produce enough evidence for a jury to rule in its favor. The Court acknowledged that the record contained evidence supporting McLeod’s position that it reasonably believed, based on objective evidence, that Whitten could not navigate to or within its campuses without posing a direct threat to herself. Based on the testimony of one of Whitten’s superiors, as well as her own testimony agreeing that her job required her to “safely navigate marketing department functions,” the Court found that a reasonable jury court rule in favor of McLeod. However, the Court also found that a reasonable jury, based on the evidence presented in the lower court, could rule in favor of the EEOC. The Court looked at McLeod’s own written description of Whitten’s job, which contained no mention of navigating to and from company events or conducting in-person interviews. Although Whitten testified that she believed she collected better content by travelling to McLeod’s campus locations, she did not believe it was an “essential” function of her job because she could collect information and conduct interviews over the phone. Because the Court determined that the EEOC had produced “more than a scintilla of evidence” in support of its position that navigating to and from McLeod’s campus locations was not an essential function of Whitten’s job, the Court reversed summary judgment as to the illegal-exams claim. The Court noted that even if the EEOC had failed to produce enough evidence that navigating to and from campus locations was an essential function of her job, McLeod would still not be entitled to summary judgment. The Court analyzed what McLeod knew before it required Whitten to take the medical exams; specifically, that (1) McLeod knew Whitten had performed the essential function of her job for twenty-eight years, despite her disability; (2) Whitten had recently fallen several times (once at work), none of which resulted in any severe injuries; (3) Whitten missed deadlines, came in late, and struggled with her workload; and (4) Whitten’s supervisor noted she recently appeared winded and groggy. The Court determined that a reasonable jury, based on the evidence, could have found that McLeod lacked a reasonable, objective basis for requiring Whitten to undergo work-related medical exams. As to the wrongful-discharge claim, the question at issue was whether the EEOC had produced enough evidence to convince a jury that Whitten was a “qualified individual” within the meaning of the ADA. The Court noted that the district court, in analyzing the “wrongful-discharge” claim, relied on its finding that navigating to and from McLeod’s campus locations was an essential function of Whitten’s job. Because the medical exams had revealed that no reasonable accommodation would permit Whitten to perform that function, the district court concluded that the EEOC had not proven Whitten was qualified to continue her work with the company’s employee newsletter. However, because the Court had already determined that it was uncertain whether navigating to and from McLeod’s campus locations was an essential function of Whitten’s job, and because the medical exams may have been unlawful, the Court held that McLeod was not entitled to summary judgment. Ultimately, the Fourth Circuit held that McLeod was not entitled to summary judgment on either of the EEOC’s ADA claims and remanded for further proceedings. The Court held that a reasonable jury could conclude that travelling was not an essential function of Whitten’s job. If a jury made this determination, then there could be sufficient evidence (1) that McLeod’s required medical exams were illegal; and (2) that Whitten was illegally terminated on the basis of her disability. 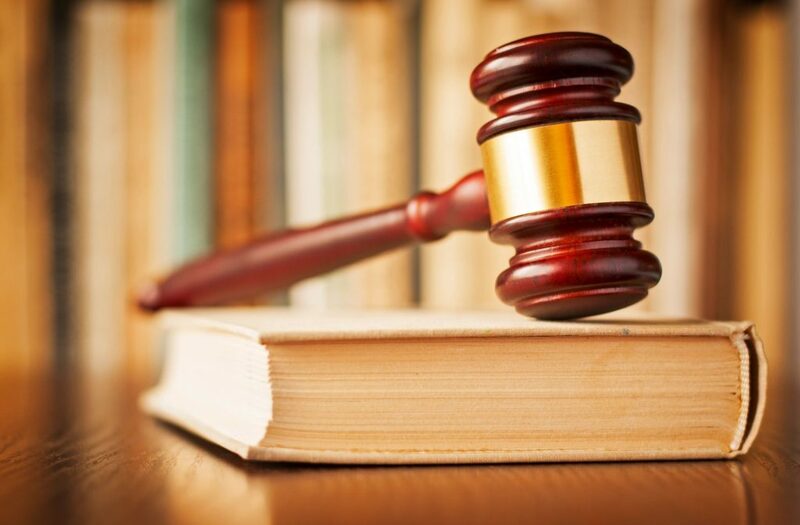 This case is important because it provides an example of the level of evidence a plaintiff must offer to survive a summary judgment motion on ADA claims. Also, this ruling sends a message to employers that the Fourth Circuit takes ADA claims very seriously, and it could encourage the EEOC to bring more ADA claims in this circuit. No. 17-2335, 2019 WL 385654, at *1 (4th Cir. Jan. 31, 2019).